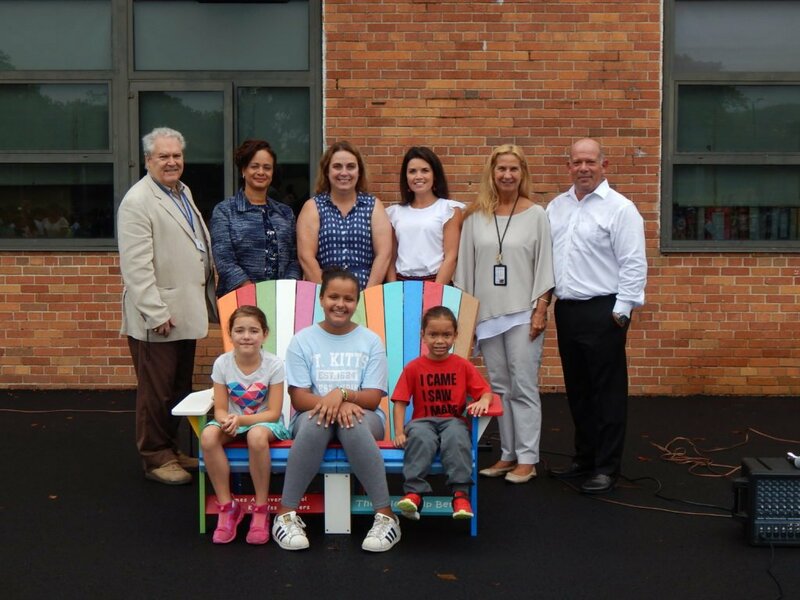 The Valley Stream Union Free School District Thirteen’s James A. Dever Elementary School recently unveiled its new Buddy Bench—a gift from the Valley Stream Union Free School District Thirteen’s Educational Foundation. The Buddy Bench aims at helping students cultivate new and old friendships. The new bench, which is set to be placed in the middle of the school’s playground and recreation area, will help eliminate loneliness and encourage all students to utilize the bench to form and build relationships with their peers. The bench is part of the District’s initiative to spread messages of inclusion and kindness to students to carry out both in school and at home. District administrators, teachers and staff members will continue to utilize a multitude of educational tools and practices to inspire students to befriend one another and be friendly to all—with the Buddy Bench serving as a starting point to these efforts this school year.